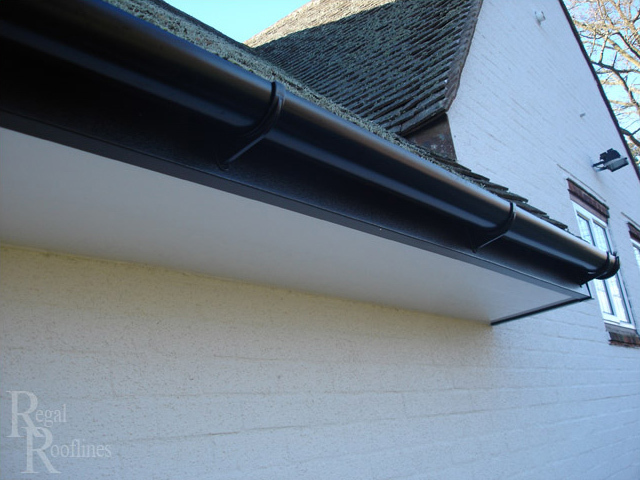 Regal Rooflines are specialist installers of fascias, soffits, cladding and guttering a wide range of colours and finishes are available. 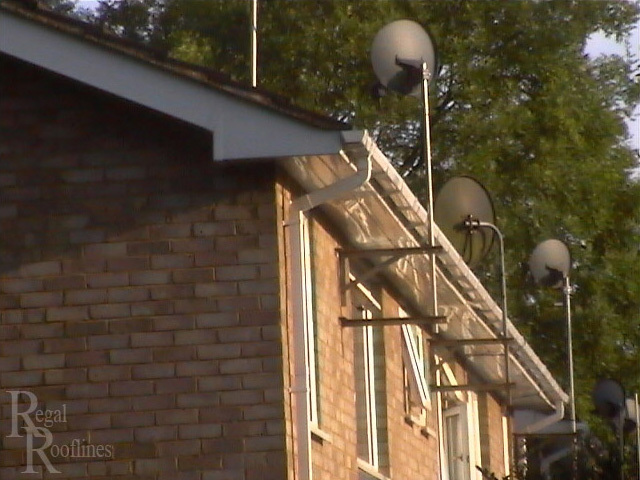 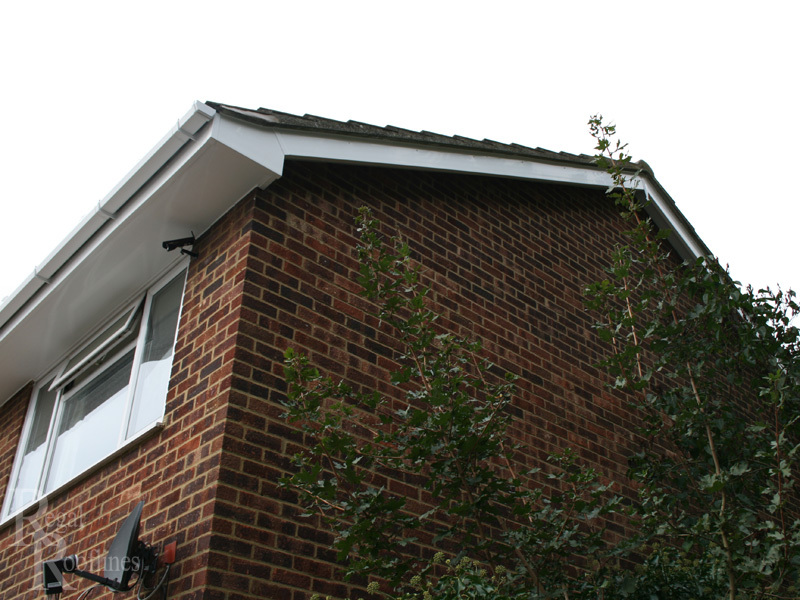 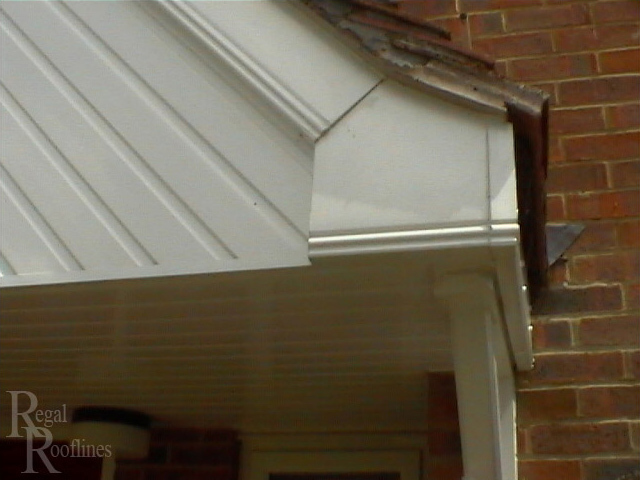 Broken or old fascias and soffits can have a detrimental effect on the appearance and value of your home. 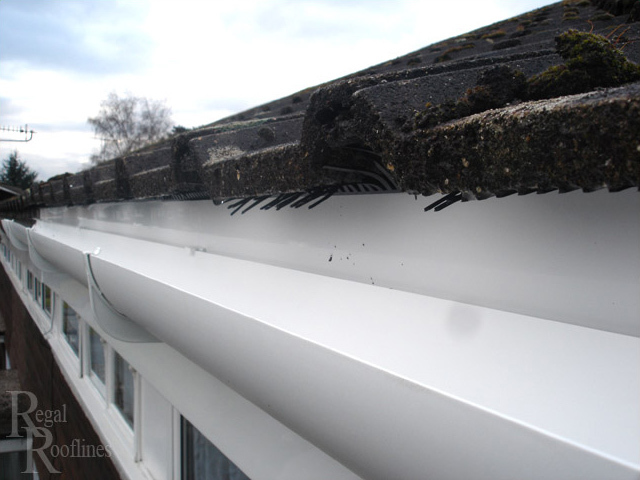 If left unattended and allowed to fall into a state of disrepair, the elements will find their way into the Rafters of your home causing rot and costly repairs bills. 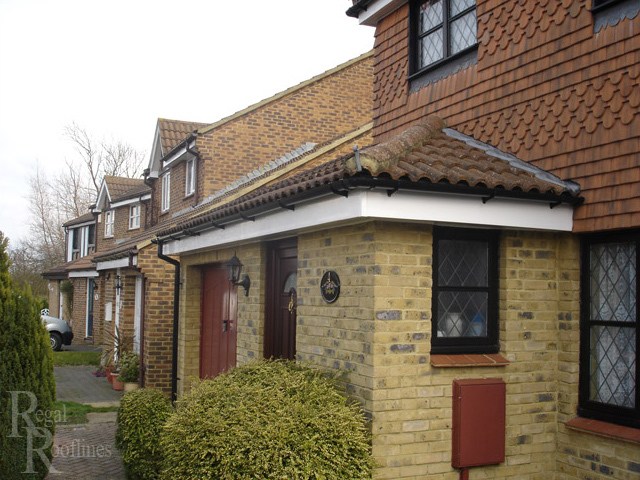 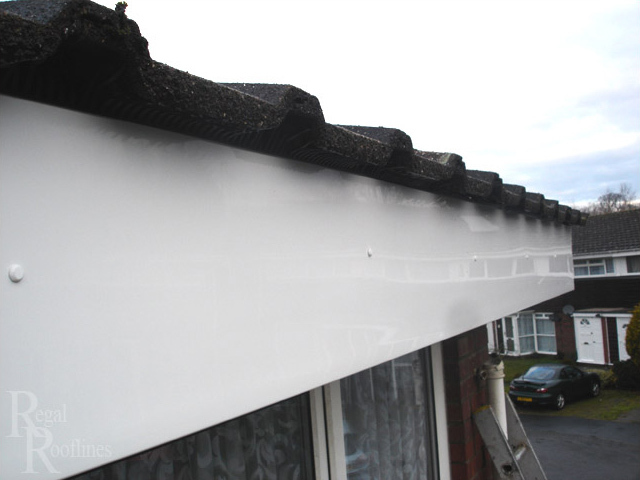 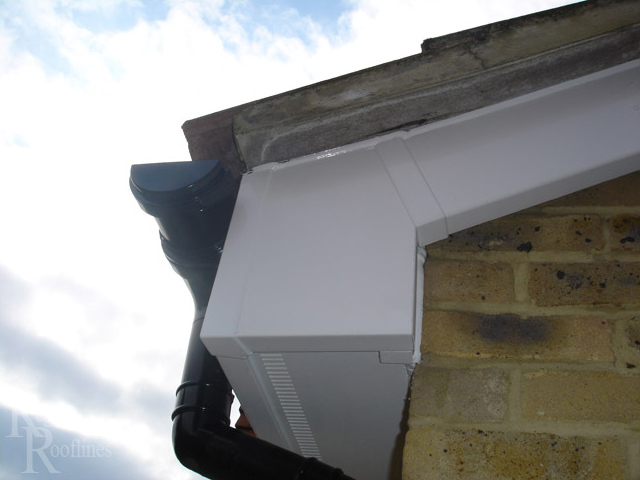 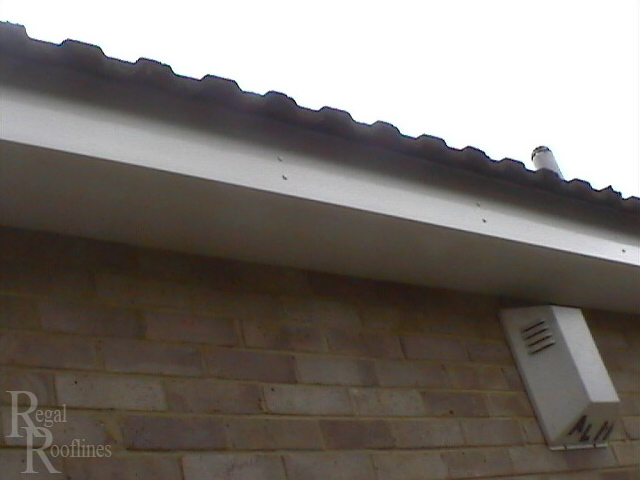 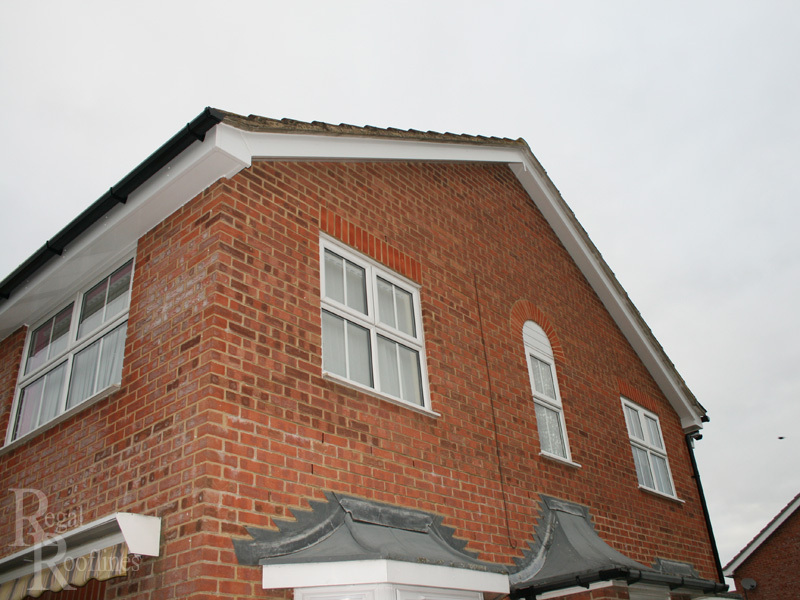 Regal Rooflines are able to repair and Replace your Fascias and soffits at short notice. 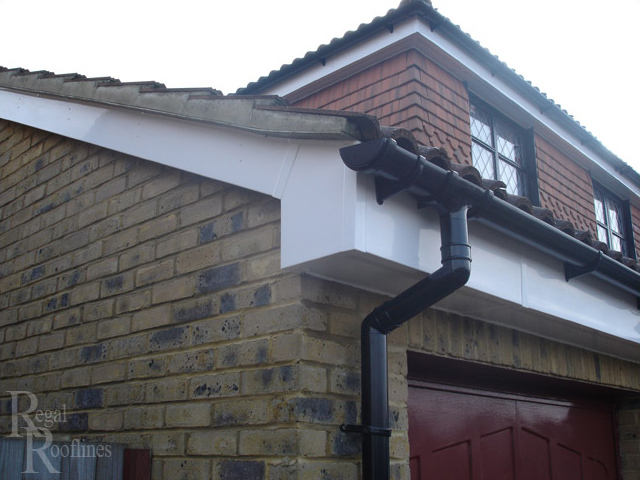 Regal Rooflines provide a complete gutter Installation service, over time defective guttering can cause serious problems for your home. 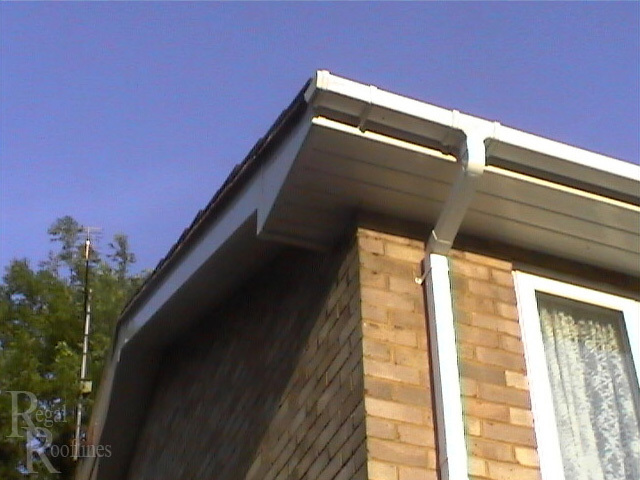 If you have noticed your gutters becoming blocked or any dipping or bulging of the gutter plastic this is a warning sign. 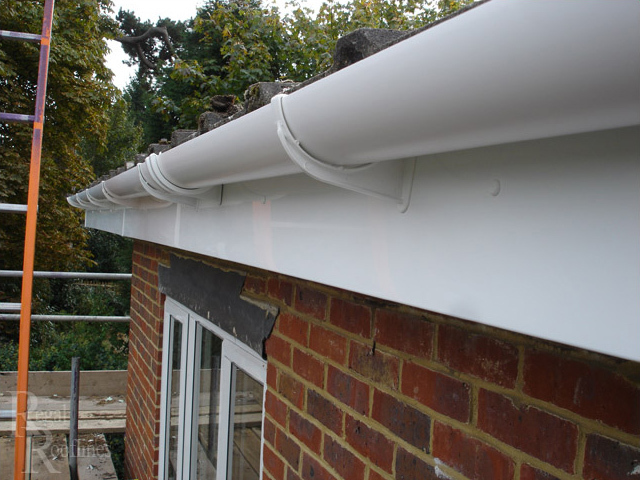 Eventually, water will start to pool in your gutters and may ultimately find its way into your home, causing problems like damp and mould this in turn can cause structural issues. 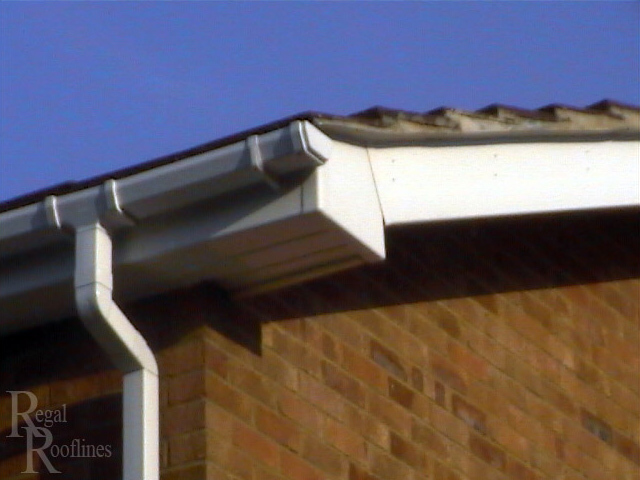 Fortunately, gutter replacement is relatively inexpensive. 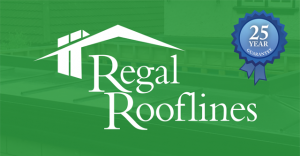 Regal Rooflines reliable team of roofers also install and maintain fibreglass flat roofs contact us for a free estimate today.